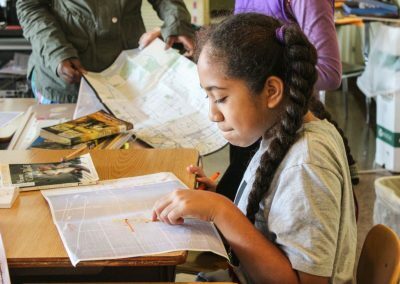 Cully is a highly-diverse, majority low-income neighborhood in Northeast Portland; standing on the site of a long standing native (Chinook) village called Neerchokikoo, it was an unincorporated area of Multnomah County from first European settlement until its annexation to the City of Portland in 1985. Most of Cully’s development occurred between 1910 and 1960. Its character from the outset has had strong rural elements: large lots, unpaved and meandering streets, and low density. 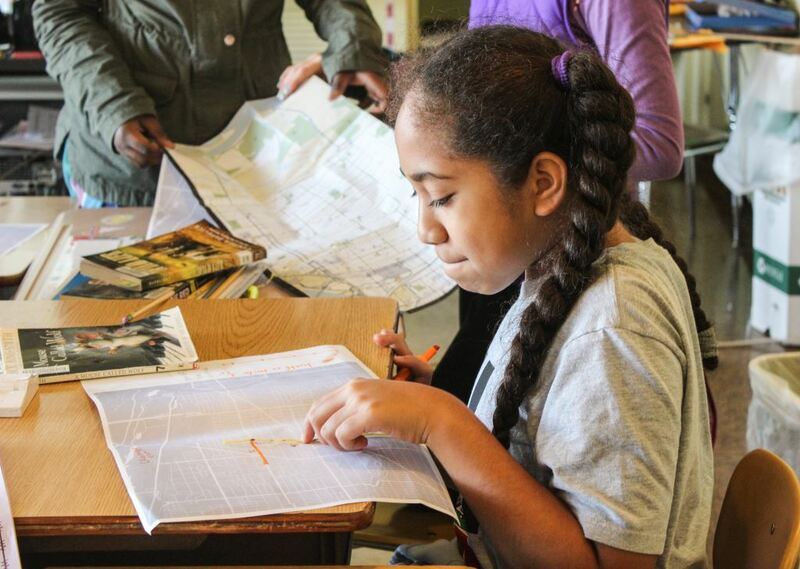 Scott School student maps her route from home to school while participating Verde’s Promoting Active Transportation and Health (PATH) curriculum. Cully is Northeast Portland’s largest neighborhood by land area and population; it is over 3 square miles, and its population as of the 2010 US Census is 13,322. Cully includes the most racially/ethnically diverse Census tract in Oregon by some measures. The majority of the neighborhood is zoned for single-family dwellings; only two areas, along the western boundary at N.E. 42nd Ave. and the central artery, Cully Blvd., are zoned for commercial activity. The northern edge of the neighborhood, between N.E. Portland Highway and Columbia Blvd., is an industrial area. Cully’s unique combination of rural features, sparse commercial development, and relatively low household incomes have made it relatively deficient in the commercial and recreational opportunities that characterize the rapidly developing inner neighborhoods of Portland. Portland’s inner neighborhoods are, in general, highly rich in amenities such as parkland, open space, bike lanes and neighborhood services. Cully, by contrast, suffers from poor walkability, scarce access to transit, relative lack of open space, and an abundance of brownfields – contaminated, post-industrial land.